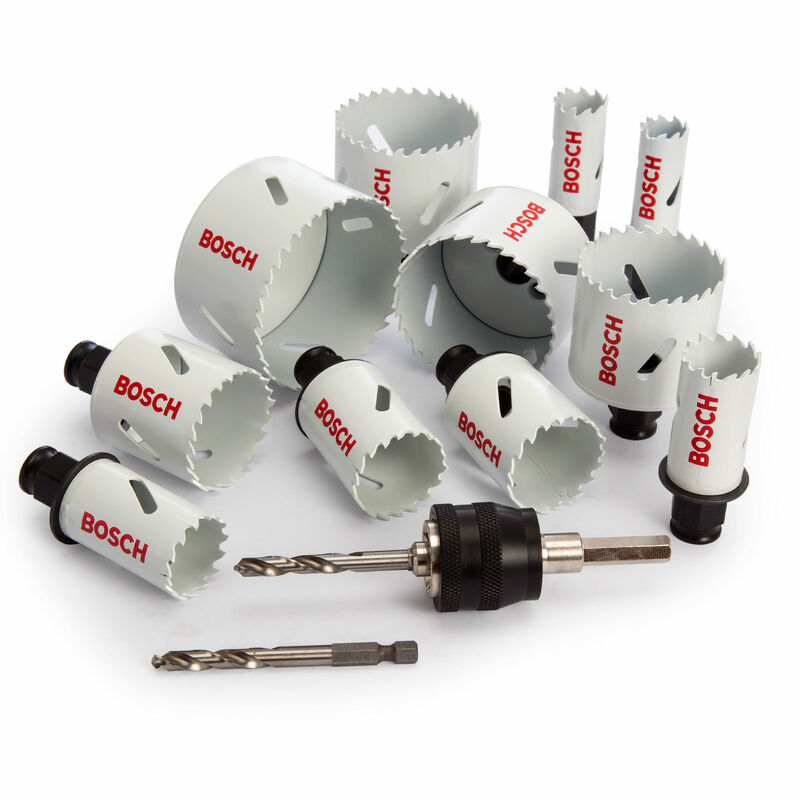 14 Piece Holesaw Set for cutting Wood or Metal. Made from HSS bi-metal with 8% cobalt alloy for extreme resilience and long sharp working life. 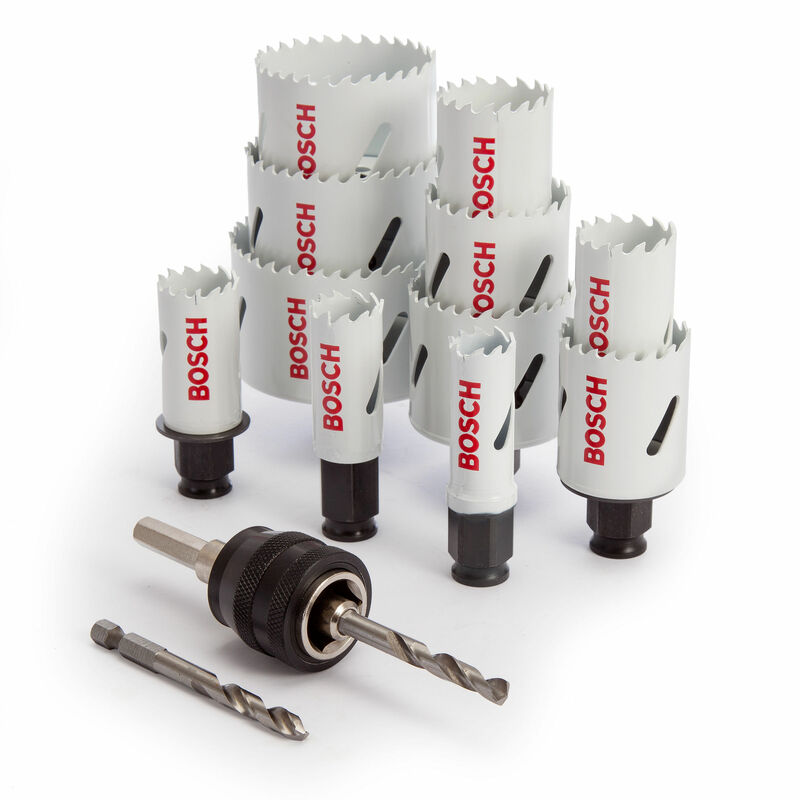 The set includes 11 Saws ranging in sizes from 19mm to 76mm or 3/4 Inch to 3 Inches, a power change adapter, 2 x HSS-G pilot drill bits and a hard plastic carry case.